I’ve got a slew of various Nikon-related news items for you today. First up, Nikon seems to have discontinued its SB-600 flash. This link takes you to the SB-700 at B&H with a note about the discontinued product. In other Nikon news, the price of the P7000 dropped to about $379. This undercuts the Canon G12. In case you don’t know, those models are like a hybrid between a point-and-shoot and a DSLR. They don’t have interchangeable lenses and are smaller than DSLRs; but they have many of the same shooting features and even a hot shoe to mount a flash. In a comparison at SnapSort.com, The Canon G12 and S95 edge out the P7000; but it really depends on the features you’re looking for and the price difference might lead some to choose the Nikon. Ever wanted to see what’s inside your Nikon camera? Ok, probably not ’cause that would mean breaking it open! But check out these images. It appears to be from a foreign Web site and the captions on some of the pictures note different camera models. If you’re into rumors here are two items of interest. 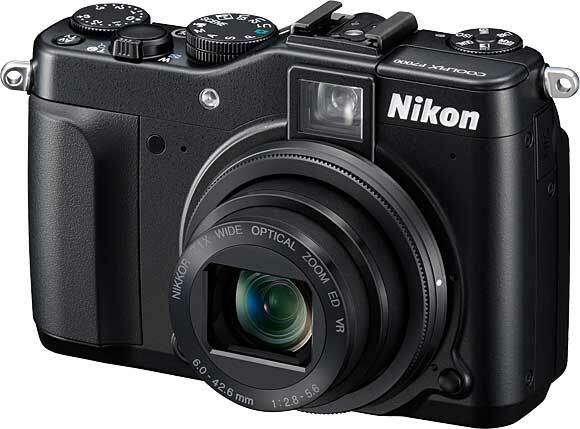 First, Nikon could announce as early as February a new Coolpix camera. It’s thought to be the P500 with an extra wheel for faster zooming, a 36x zoom and a 12MP sensor designed for low-light photography made by Sony. Another Nikon camera with a Sony sensor could be a mirrorless camera announced in April. This camera will reportedly target pro users.